Our first podcast strives to highlight the people working to make the tech industry a more diverse and inclusive place. On each episode, we will attempt to dig below the surface of our guest's achievements and challenges, showcasing the stories behind the story. We believe that focusing on the person and humanizing their lived experiences will help us shape the future of tech. 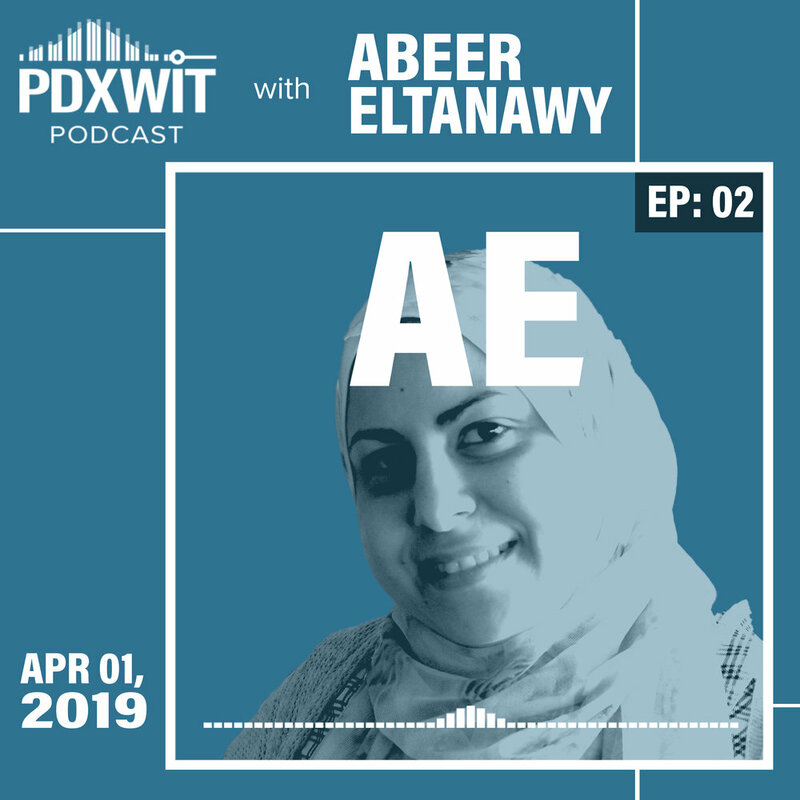 On episode number two, your co-hosts Juliana Kutch and Brit Syer talk with Abeer Eltanawy, who uses she/her pronouns. Abeer is from Egypt and moved to the Bay area in 2014. She then moved to Portland to be with her husband and daughter in 2016. She has completed a Master of Arts in Cancer Research and is currently working on her Master of Science in Information Technology, while creating a space and name for herself in the new field of cheminformatics. Currently Abeer faces a new challenge working out her visa details in the midst of this current political climate. On this very first episode co-hosts Brit Syer and Juliana Kutch interview Katrina Johnson, who uses she/her pronouns. Katrina is a Chicago born Data Science student who won the 2018 PDXWIT Scholarship award, which she will use to attend a conference on machine learning and artificial intelligence in Austin, TX. She has dual Masters degrees in English and Philosophy, and hopes to use her newfound data science superpowers to fight for social justice.